Zeppelin Wireless Speaker is an improved version of the original Zeppelin. This one is designed to bring the ultimate acoustics and functionality, while at the same time maintaining the iconic shape. For a single component device, the Zeppelin Wireless is incredibly powerful. Bespoke audio technology and advanced processing captures more details in the audio signal and makes sure the sound is very natural. This model has incorporated the set of driver units that can be found in a range of Bowers & Wilkins Hi-Fi loudspeakers and became well-known for its efficiency. 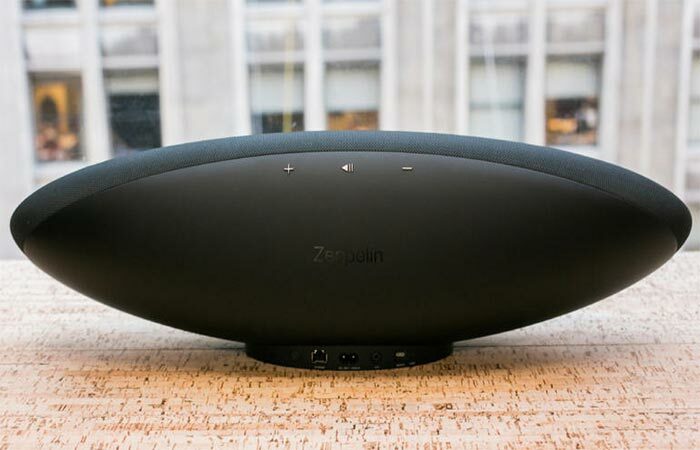 Zeppelin Wireless Speaker is very powerful. The sound is natural, and both highs and bass are clear. Thanks to the Double Dome tweeters, two midrange drivers with FST tech and a long-throw subwoofer, Zeppelin Wireless provide both the high sounds and the deep bass. Zeppelin Wireless Speaker has a frequency response of 44Hz-28kHz. 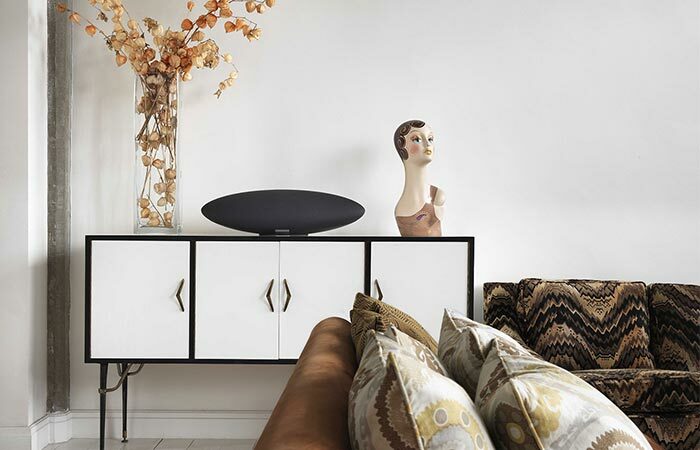 Bowers & Wilkins Zeppelin Wireless Speaker provides a frequency response of 44Hz-28kHz. Of course, there’s the recognizable wireless feature that allows you to connect with any Bluetooth device. Also, Zeppelin Wireless Speaker can connect to Apple AirPlay and Spotify. This way, you can stream your favourite music directly to the speaker. 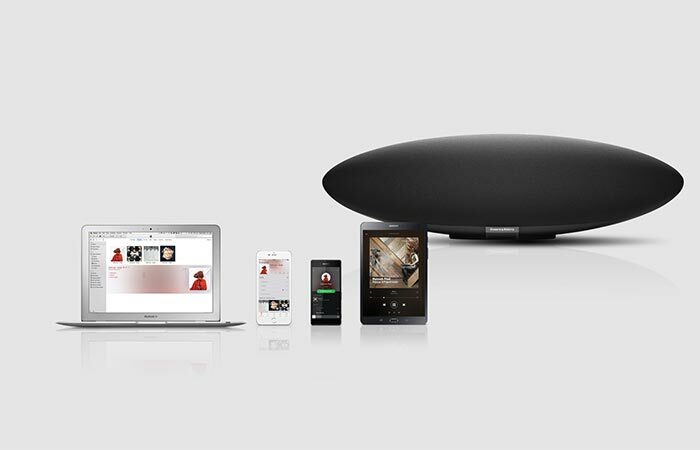 Bowers & Wilkins Zeppelin Wireless Speaker can connect with all Bluetooth devices, Apple AirPlay and Spotify. You can use the Control App that’s available for iOS, Mac and PC. It has playback functions and is used to control the volume. And if the App is out of reach, the volume and play/pause buttons are placed on the back of the speaker. The Zeppelin Wireless Speaker has no batteries, so in order for it to work, it has to be plugged into the power source. Also, since it’s quite heavy, it should be kept in one place and not moved around frequently. With its minimal design, it can be easily incorporated into any living space.